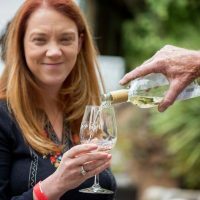 Your favorite Historic Folsom wine tasting event is back! Join in for the second annual Sutter Street Sip and Stroll. Your ticket includes tastings from local wineries and restaurants, set up inside the wonderful shops of Historic Folsom. Enjoy live music, shopping, and the incredible ambiance of Sutter Street. A portion of proceeds will be donated to the non-profit American Partnership for Eosinophilic Disorders with the remaining funds going toward Historic District beautification and improvements.